Initiatives show military sees serious climate and water security risks. Helping nations prepare for and respond to droughts, floods, and storms is now one of 11 primary efforts outlined in the overall strategy for the U.S. military’s Pacific Command, which covers the Asia-Pacific region. 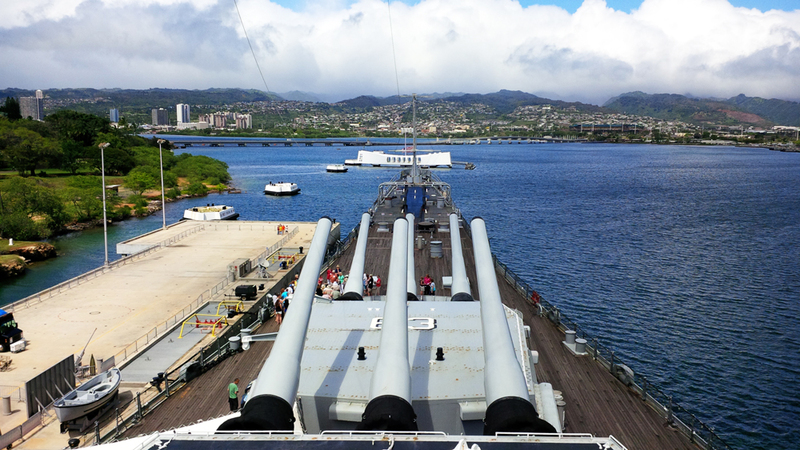 In discussions at Pearl Harbor last month, researchers outlined new projects to pinpoint and address water security threats. Click image to enlarge. As global leaders meet in Paris this week to reach agreement on limiting carbon emissions, national and international security organizations are taking serious note of the risks water and the changing climate pose to water supply, global peace, and stability. Last month, a working group of researchers and U.S. military representatives gathered at the Pearl Harbor naval base in Honolulu to sketch out a series of projects that will improve the ability of the United States and partner countries to pinpoint and address water security threats— floods, storms, scarce water supplies, and pollution. Helping nations prepare for and respond to droughts, floods, and storms is now one of 11 primary efforts outlined in the U.S. Pacific Command’s overall strategy. The Pacific Command coordinates military actions throughout the Asia-Pacific region, which encompasses more than half of the world’s population and is one of the most vulnerable to natural disasters. More than 40 percent of the world’s disasters over the past decade occurred in the region, affecting more than 1.4 billion people, according to the United Nations’ Asia Pacific Disaster Report 2015. Typhoon Haiyan was one of the strongest storms to ever hit the Philippines. When it made landfall in November 2013, it killed more than 6,000 people and left many more without access to drinking water, food, and shelter. Click image to enlarge. The goals of the Pacific Command’s climate initiatives are three-fold, according to presenters at the conference in Honolulu. The first is to be prepared to respond to disasters that occur in the Asia-Pacific region, if requested to do so by the affected countries. 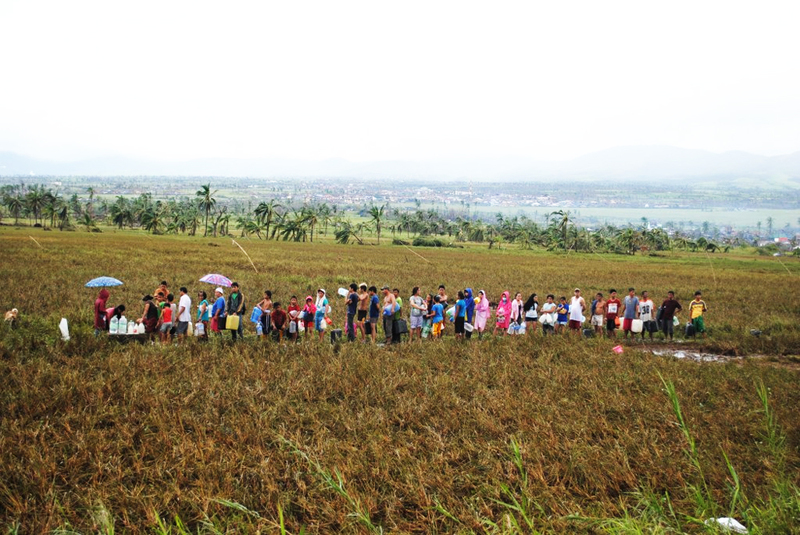 This includes providing and distributing supplies, as well as helping to assess the damage from a disaster. The second goal is to alleviate the risk from future disasters by encouraging countries to develop response plans and take into account land use and infrastructure planning to reduce damages to life and property. The final goal is to work with countries in the region to improve their water, food, and energy security. As part of these efforts, the Pacific Command is working with the University of Hawaii and the Maui-based Pacific Disaster Center to “increase regional resilience and mitigate the effects of man-made and natural disasters, as well as to increase security and stability,” according to a March press release from the PDC. The programs signed a letter of intent in February to share data and collaborate on the application of disaster risk reduction research. In the aftermath of Typhoon Haiyan, the Category 5 storm that killed more than 6,000 people in the Philippines in 2013, more than 9,000 U.S. military personnel were mobilized to respond to the crisis. The 10th global risk report released by the World Economic Forum in January ranked water as the most serious threat to business and society. A study published in the Proceedings of the National Academy of Sciences in March linked the Syria civil war to a 5-year drought that destroyed farms and forced rural communities to migrate to the country’s cities. A disastrous Himalayan flood in Uttarakhand, India killed thousands of Hindu pilgrims in June 2013, wrecked the state’s hydropower sector, and was found by the American Meteorological Society to be one of 16 climate-related disasters that year. But while preparing and responding to natural disasters is a priority, the military is also focusing attention on identifying where scarce water resources could aggravate the risk of conflict. One project, called RISA [Rapid Integrated Strategic Assessment], aims to help military analysts, nongovernmental organizations, and the governments in partner countries find these areas before problems manifest. The Asia-Pacific region is one of the most vulnerable to natural disasters — more than 40 percent of the world’s disasters over the past decade occurred there. 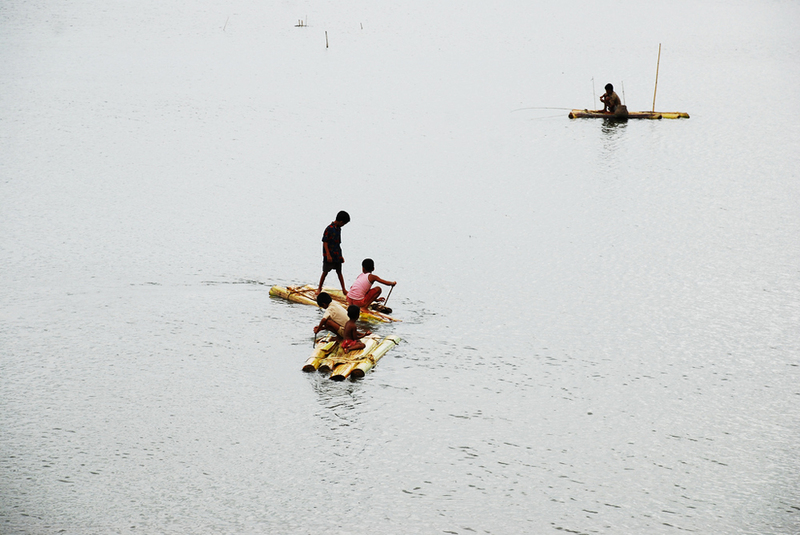 Here, children play on rafts after floods in Bangladesh. The project, currently in development, will draw open-source data into a web-based tool where users can explore water security questions. The tool then maps the data—which could take the form of news stories about water-related conflicts, water scarcity indices, and shapefiles of river basins—over time and place. It will also show the relationships between data pieces in an attempt to address water’s role as a “threat multiplier”, to see how water problems might interact with food security, disaster risk, and other variables to create conflict. As an end result, users will be able to create and share visual narratives to present their findings. The goal is to improve humanitarian missions and assist in the development of plans to make countries more resilient to climate change and resource security problems, presenters said in Honolulu. The project’s developers plan to begin test driving the RISA tool next spring.